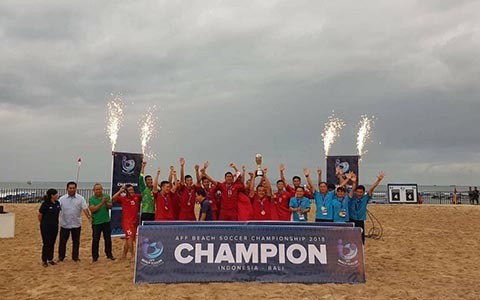 HÀ NỘI — Việt Nam triumphed the ASEAN Football Federation Beach Soccer Championship on Saturday in Indonesia. The team defeated arch-rival Thailand 6-4 in the final match in the Bali. It was sweet revenge after losing 4-9 in the qualification round.